They’re getting harder to find these days—so irritating—but I did manage to locate the following: I like the nice weathered look and the crop here. I like the nice dark wash on these. I’m not entirely certain how I feel about a high-waisted pair of boyfriend jeans, but I know that a lot of you like a them that way, and these are pretty cute. 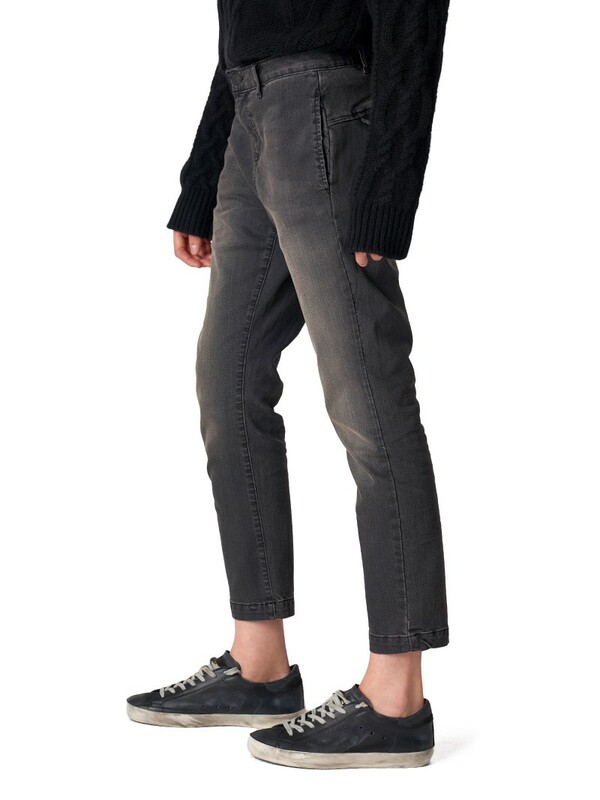 I’m a big fan of Frame Denim, and their Le Garcon jean is nice and slouchy without being at all sloppy. I want every single pair. Such a great selection. If I had to pull the trigger on one, it would have to be the black Nili Lotan. I own lots of fancy/expensive jeans and have found I keep passing them over lately for the Gap’s ‘best girlfriend’ jeans which I have in black and light denim. SO comfy; they actually kind of remind me of vintage levis, but with more give. Fairly high waisted but not insane. I own lots of fancy/expensive jeans and have found I keep passing them over lately for the Gap's 'best girlfriend' jeans which I have in black and light denim. SO comfy; they actually kind of remind me of vintage levis, but with more give. Fairly high waisted but not insane. me too. I have an embroidered pair and I just got a pair in gray — close to perfect. me too. I have an embroidered pair and I just got a pair in gray -- close to perfect. Those are the best – I have a few pairs of the denim in varying shades and a pair of faded black twills that get a lot of wear. Those are the best - I have a few pairs of the denim in varying shades and a pair of faded black twills that get a lot of wear. Ditto on the Gap best girlfriend jean. Really flattering; that gray is right on point. I didn’t size up – the slouch seems built-in and the sizing is generous. They do stretch after a few wears but still don’t fall down which is a relief! I didn't size up - the slouch seems built-in and the sizing is generous. They do stretch after a few wears but still don't fall down which is a relief! I wear my normal size – seems to be just enough slouch. I wear my normal size - seems to be just enough slouch. Thanks–they had some super sale going on Gap Factory and I took the plunge in my regular size so am looking forward to checking them out! Thanks--they had some super sale going on Gap Factory and I took the plunge in my regular size so am looking forward to checking them out! 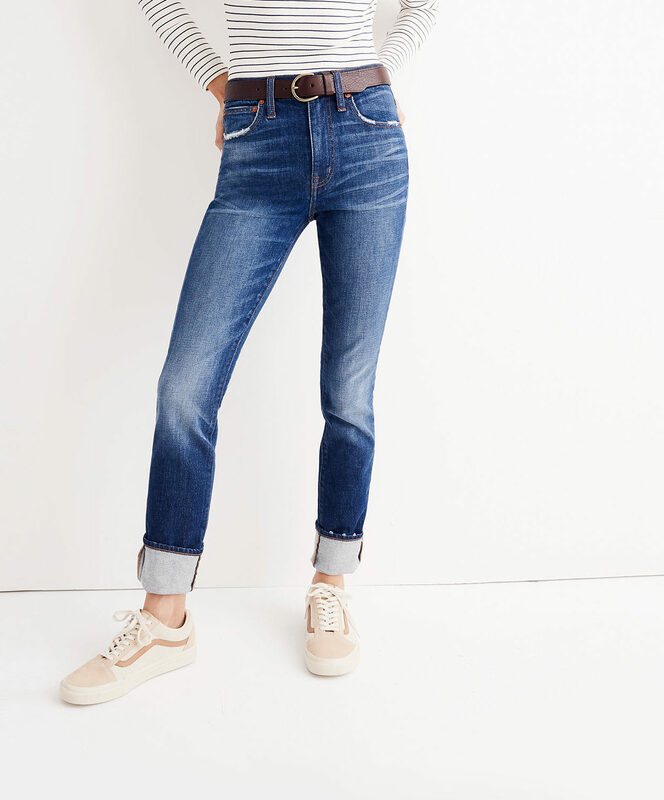 I highly endorse the Madewell High-Rise Slim Boyjean (the fourth link). They’re really not high-waisted at all and if you think they are, buy a size big so they hang low and really get the boyfriend jean look going. 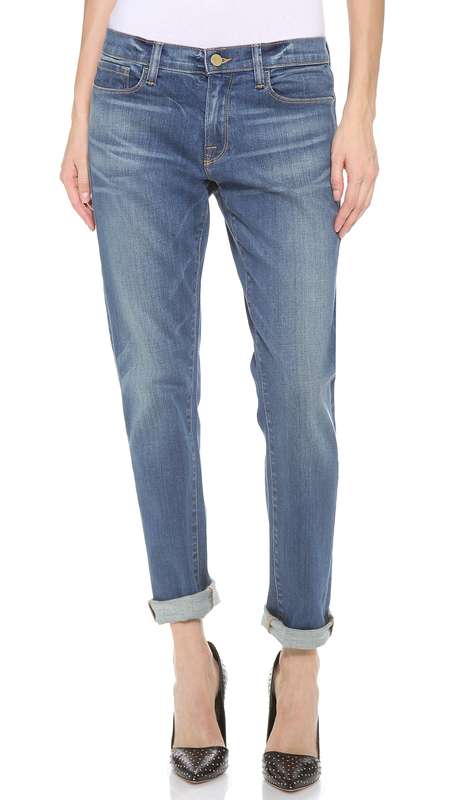 I highly endorse the Madewell High-Rise Slim Boyjean (the fourth link). They're really not high-waisted at all and if you think they are, buy a size big so they hang low and really get the boyfriend jean look going. 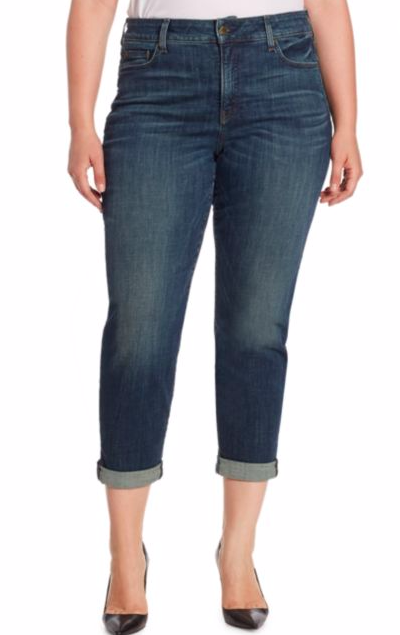 Yes – I have and love these Madewell jeans as well. On me (long legged and short torsoed) they hit right at / slightly below my natural waist. They are so comfortable and the perfect straight leg. Yes - I have and love these Madewell jeans as well. On me (long legged and short torsoed) they hit right at / slightly below my natural waist. They are so comfortable and the perfect straight leg. I am always surprised by your aversion to high waisted pants. As a wide hipped person, I find they usually fit better — lower rises dig into the fleshy bits in an unflattering way. I’d also rather draw a horizontal line (waist) at a narrower part. Anywho, this means that the madewell’s look awesome to me. I can’t explain it, Amber. I like them on others, but they just look awful on me. I can't explain it, Amber. I like them on others, but they just look awful on me. everlane denim! loved their boyfriend jean (i guess high-waisted? ).